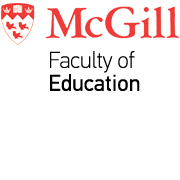 The Royal Society of Canada (RSC) announced the induction of 89 new Fellows, five of which are McGill researchers and scholars. The RSC also announced 52 new members to the College of New Scholars, Artists and Scientists, including six McGill scholars. The new cohorts of Fellows and Members will be formally inducted into the RSC in November, in Halifax. Susanne Lajoie, Department of Educational and Counselling Psychology, was appointed as a Fellow of the Royal Society. Susanne Lajoie’s groundbreaking research merges cognitive science with leading edge computer technology, and helps stimulate learning in social and life sciences. Her innovative technology environments encourage independent thinking, reflection, and the self-management of learning and emotions. Dr. Lajoie’s international research on collaborative learning links people from different cultures and activates life-long learning skills. Krista Muis, Department of Educational & Counselling Psychology, was appointed as a Member of the College of New Scholars, Artists and Scientists. Krista R. Muis is a Canada Research Chair Tier II in epistemic cognition and self-regulated learning. Her research focuses on how students’ epistemic cognition and emotions influence various facets of learning, motivation, and academic performance. She also examines how individuals process complex, contradictory content on socio-scientific issues such as climate change, genetically modified foods, and vaccinations. Her research informs classroom practices in mathematics and science learning across multiple educational levels.